No one sets out to become a trailblazer or a pioneer. Initial goals are usually much more modest. When I launched my company in 1991, I wanted to help kids have the opportunity to learn, no matter their circumstances. Education inequity has been with us for a long time, and I aspired to make a difference in children’s lives by working for equitable access to educational resources. 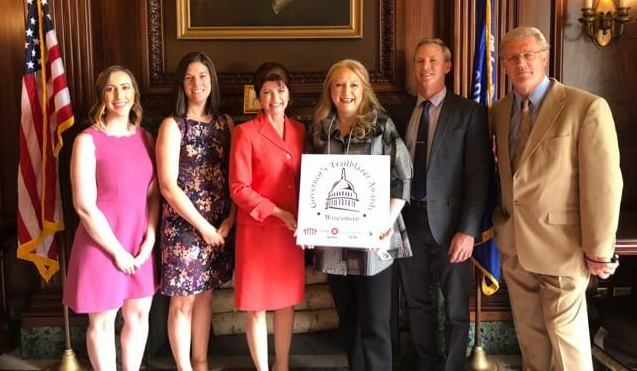 From the beginning, CB&A’s emphasis has been on helping educators become aware of products, programs and services to provide all students the opportunity for a rich and rewarding life. That’s how it all started. It’s grown to be so much more. 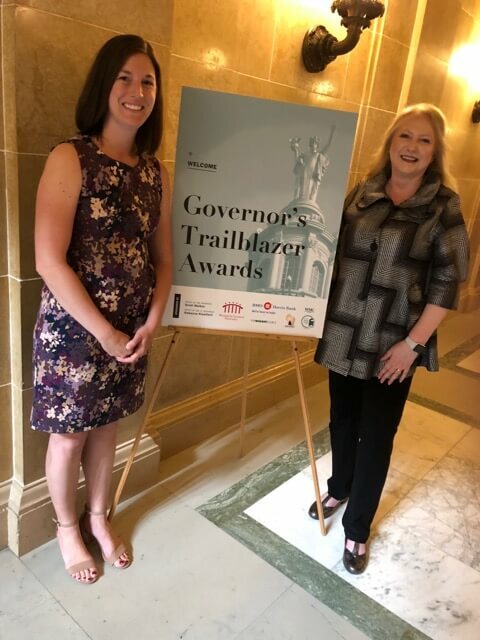 Being chosen to receive a 2018 Governor’s Trailblazer Award for Wisconsin Women in Business is an honor for which I am grateful and gratified. I didn’t start out to become a pioneer in business, and it hasn’t been an easy path. I fought prejudice as a woman business owner, particularly in the early years. That’s why it is important to me that one of the goals of the Governor’s Trailblazer Awards is to help women share their business success stories. A huge thank you to Vickie Wenzel of Atmosphere Commercial Interiors who nominated me. Over the years we’ve had many meaningful conversations about the need to inspire more women to follow their entrepreneurial dreams and assume leadership roles in business. I also appreciate being recognized as an innovator. Over the years, CB&A has had to change and adapt to the digital revolution as well as respond to the economic downturn and a profound shift in how we do business. As I reflect on this award, I think about the impact of what we’ve been able to accomplish. From its beginning in PreK-12 education, CB&A has grown to encompass all students, including those in special needs education, career and technology education, higher education, adult education, and now workforce development. We help learners of all kinds, no matter their age or stage of life, and connect them to products and services that help them fully develop as students and human beings. One of the greatest joys in my business life has been the recruitment of an extremely talented team of smart professionals who inspire and challenge their colleagues every day, and who have contributed to my growth and development in return. No one achieves anything of significance alone. I am deeply thankful to the CB&A team and share this honor with them. As we expanded the business and our scope of work, I realized that in addition to teaching and coaching new leaders, I’ve always been an adult learner myself. Adults learn differently than children and confronting those differences has not only been fascinating, it also has allowed us to expand our client family and extend our impact on education. How this journey has enriched my life is beyond measure. Coworkers, industry colleagues, educators, students, and administrators have all helped me become a better person. It is humbling to admit that you don’t know everything. It’s also very freeing. Commitment to being a lifelong learner means that there is a never-ending supply of new adventures and people waiting to be discovered. I now understand that one of my biggest contributions to CB&A is to be “Chief Learner” in addition to Chief Executive Officer. By modeling and coaching the team, I am able to channel their natural curiosity and desire to “do good” into positive efforts for our clients. Ultimately, we help our clients change the world. 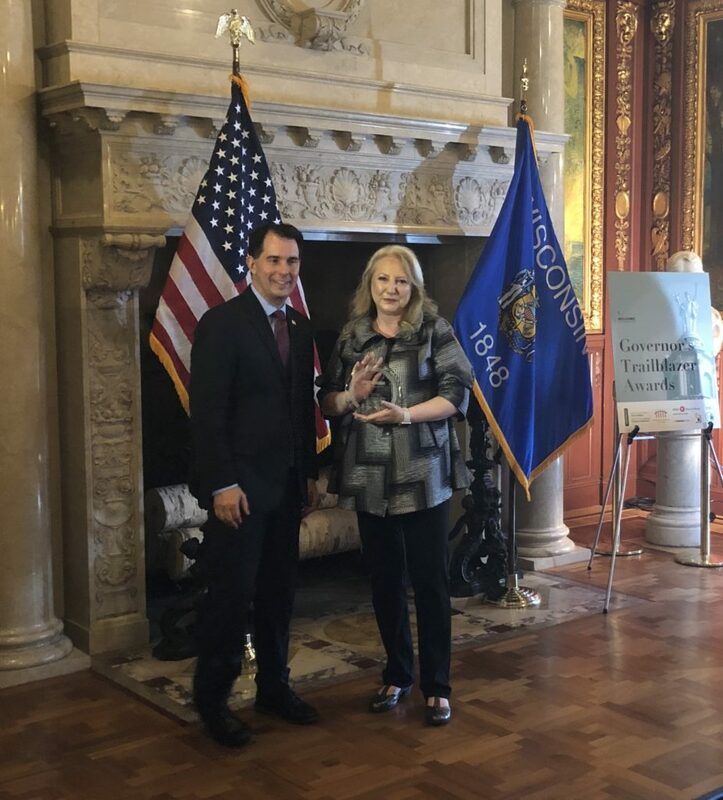 I am grateful to be recognized as a Wisconsin Trailblazer, but I am also grateful for this opportunity to reflect on the accomplishments of our company and the thousands of students we’ve helped to reach their full potential. My career continues to be fascinating, challenging and joyful. I look forward to CB&A’s future projects and our continued advocacy for learners of all ages.